This impressive business centre offers co-working space in a prime location of Belgrade with cutting-edge facilities that will enable your business to flourish under supreme conditions. Here, you will also be supported from a friendly, approachable on-site admin team, as well as 24-hour access, meeting room facilities and parking services close by. Within walking distance, there are lots of restaurants, cafes, fitness suites and shops to explore. Found just a few minutes away from the Sava River in the heart of Belgrade, this business centre offers a range of excellent amenities. With great communal spaces and spacious work stations, you can work in a fantastic professional setting with everything you need to make you comfortable at work. The centre boasts 3 fully equipped conference rooms, communal lounges and a kitchen. The rooftop terrace provides stunning views of the city where you can hold informal events. The train station is easy to reach and within walking distance, with buses also passing through regularly. 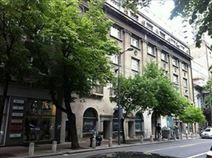 Close to Belgrade's most popular entertainment sector, Strahinjica Bana Street, this business centre is housed within a building in one of the city's historic districts. Companies in the local area include those from education, professional services and real estate. At this centre, you can benefit from having IT support on-site to ensure your business runs efficiently and stays well connected throughout occupancy. Within the immediate area, there is an abundance of historical monuments to observe, as well as a range of public interest hot spots in which to keep clients entertained. The space offer serviced offices at affordable rates; highly sought-after for its convenience and prestige. The centre is accessible 24 hours a day so you can come and go as you please. If you are looking to hire out one of the meeting rooms to discuss business with a client why not do this with one of the friendly admin team members. The centre can be accessed by both car and public transport, so commutes are always easy. This centre is strategically located by the city for straight-forward commutes and high accessibility to local amenities, such as transport links and many eateries. The centre is perfect for start-ups or flourishing companies. It is adaptable and unfurnished so you can create a space for your specific business requirements. The space is also accessible 24/7 so you can work on your own timetable. There is a number of restaurants, cafes and hotels within walking distance. 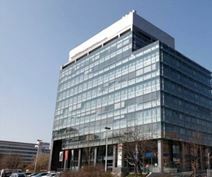 Situated next to Usce Shopping Centre, this building is located in an area full of companies from technology, finance and telecoms companies. The 25-storey skyscraper provides stunning views across the city from a choice of serviced offices. In addition, your business can benefit from this centre's on-site IT support for the shared internet provided, ensuring that your business runs as efficiently as possible, and stays well connected throughout its occupancy. Situated in an area that is home to a number of dynamic companies, and providing easy access to the E75 and E70, this office space is based in the heart of the CBD and offers amenities that include an on-site restaurant, secure underground parking, business lounge access, outside seating and videoconferencing facilities. You can use the outside seating, for fresh air and fresh thinking, as well as 24 hour access. Found in the heart of Zemun in Belgrade, this business centre is found right next to the river Danube. Boasting not only excellent communal areas but also fantastic office space, this is the ideal workspace for any professional. From the rooftop terrace you can have stunning views of the city, whilst also benefiting from a dining room and games room where you can relax. The space offers an impressive 4 meeting rooms which come fully equipped for your use. You will only be a short walk away from the Zemunski park and a range of historical sights in the area. This space, accessible 24 hours a day, 7 days a week is a great place whether you're looking to work in a quiet atmosphere or network with a group of people. 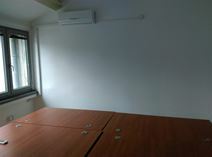 The offices come fully furnished and on flexible terms with meeting room access. The centre is easily accessible by both public transport and car and there are many local amenities with walking distance that you can make the most of on a lunch time or evening. This property is situated in the centre of New Belgrade. This impressive Class A building has office suites available from 194 sq m to 470 sq m. Each unit has own server room, toilets and space for kitchen. Featured include six elevators; emergency exits according to the most demanding requirements, security 24/7; card access system; most of the building is covered with a double glass façade which provides excellent sound insulation. This stylish business centre offers a wide range of offices which can be tailored to accommodate any of your needs. These office spaces benefit from high quality support services and are provided with large meeting rooms, state-of-the-art videoconferencing facilities, high speed internet connection, parking facilities, security systems and numerous other facilities, including on-site restaurants, cafés and shops. The centre has direct access to the motorway network and is easily accessible.